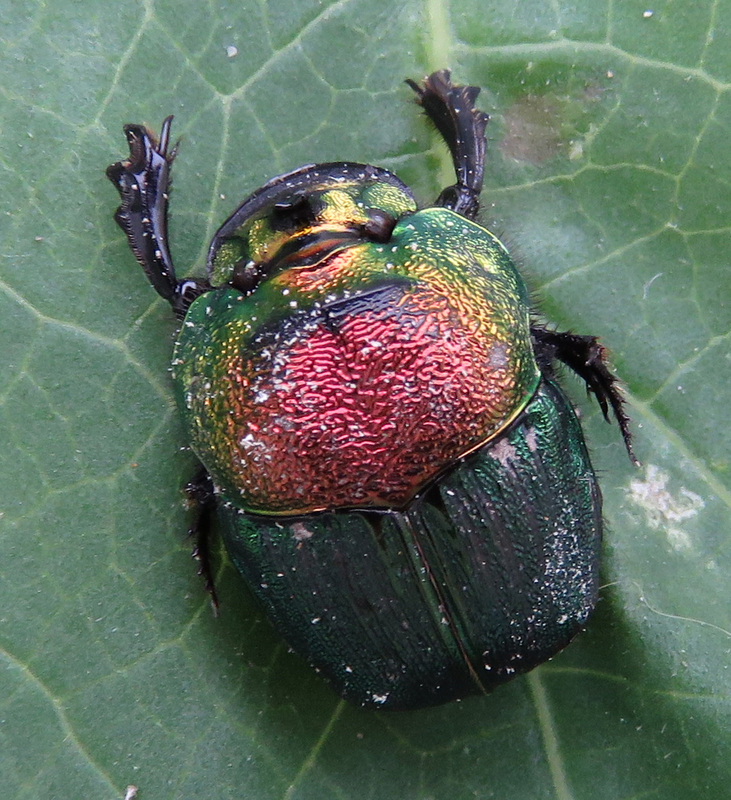 But it is really the back of a female rainbow scarab. I found her in a water tub in the lamb pen today. 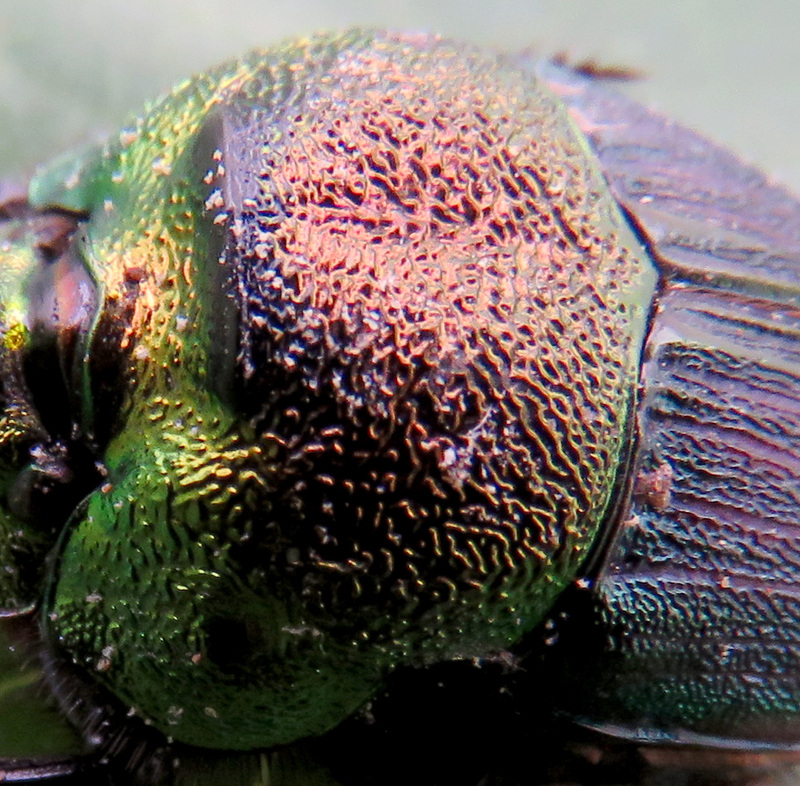 …but at different angles, different colors appear. 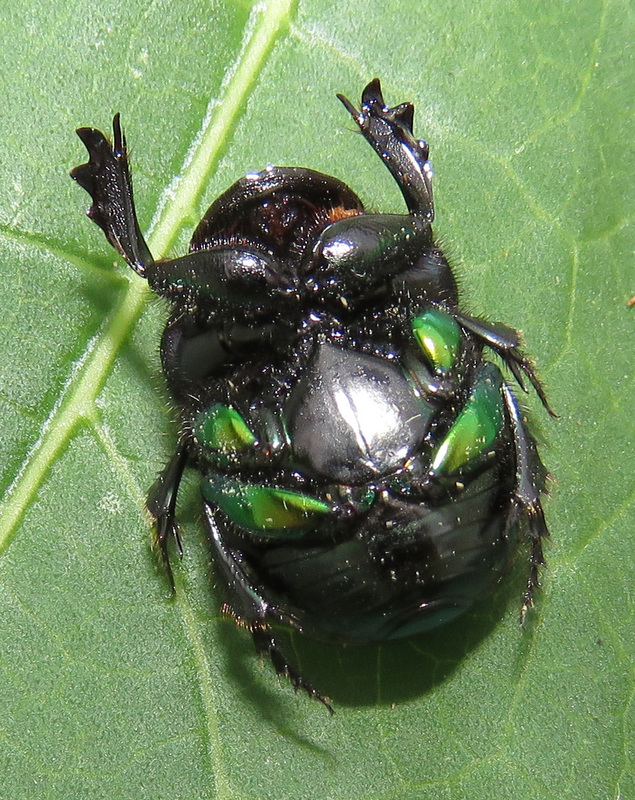 Her job is green too – she is a dung beetle and both eats dung and uses it to make large balls to brood her larva in. 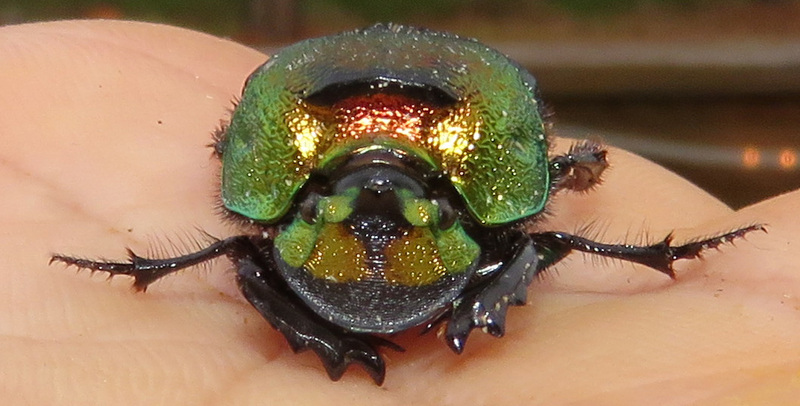 Male rainbow scarabs have big horns in the center of their heads, like rhino horns. 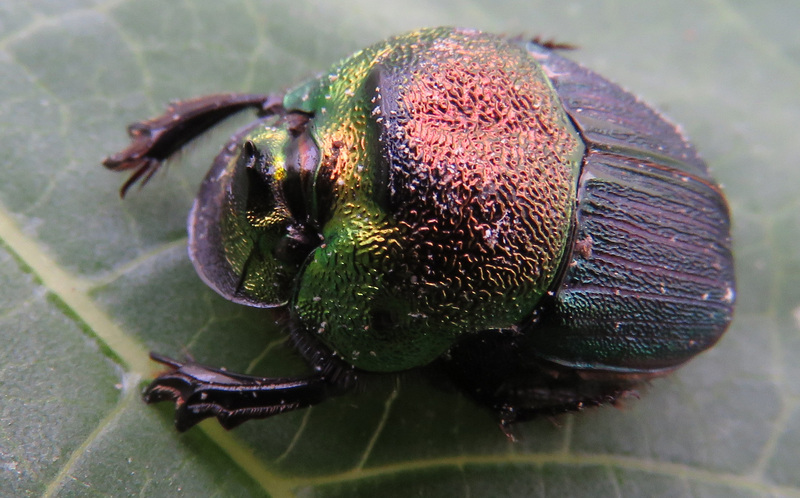 Iridescent beetle wings have been used in textiles in many cultures, embroidered around as if they were jewels. Here is a spectacular muslin cloth from India. 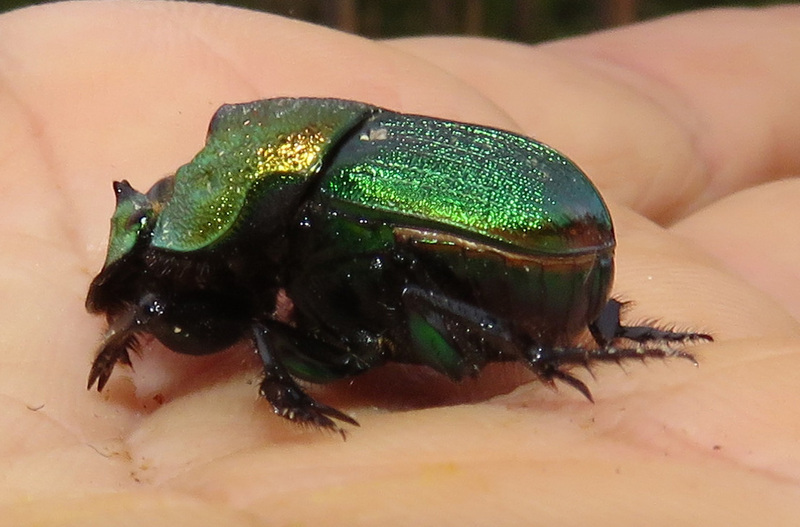 But this lovely lady just had her picture made while she rested from her swim, and then she was released back into the yard to be about her recycling business.